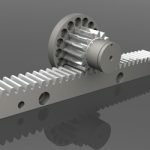 The Preloaded Double Pinions, PDP, from Andantex (WMH Herion) is designed to provide a cost effective method of eliminating backlash between the rack and pinion in high precision linear motion applications. 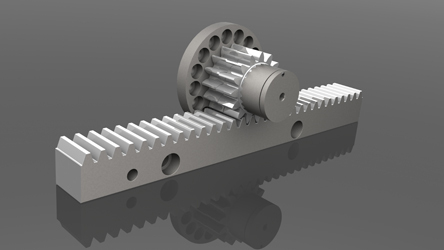 The PDP is made of two ground WMH pinions, each ½ the width of the rack, connected together through a patented coupling preload system that cancels the backlash between rack and pinion providing a competitive alternative to ball screw drive systems. 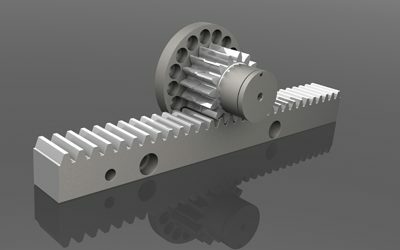 The preload torque of the PDP is easily adjusted and the units are equipped with an ISO 9409-1 flange for adapting to speed reducers. 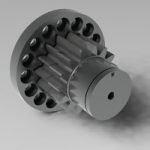 The PDP can be combined with precision reducers to provide system backlash < 1 arc-minute thereby eliminating the need for two electrically preloaded reducers (with 2 servo motors) in certain applications. 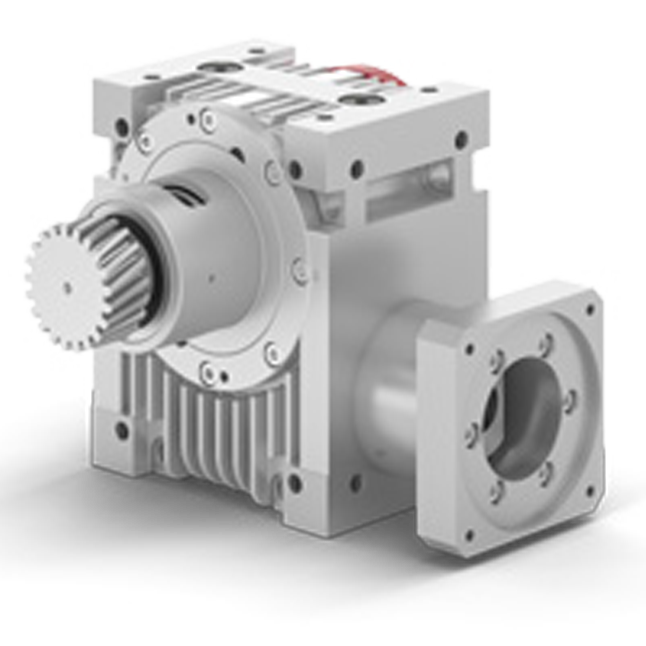 The PDP is offered with straight (spur) or helical gears in modules from 2 to 5 standard (larger modules on request) and accepts speeds up to 1200 RPM. 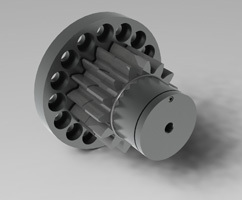 Torque capacity ranges from 55 – 1900 NM depending on the size and preload torque setting. Andantex can offer complete solutions in including reducer, PDP, rack and automatic rack lubrication systems.